This page tells you about the new Orchid Care Tips webpages, and major edits. There are also announcements sometimes, such as when an exciting new orchid species is discovered or I run an orchid photo contest. They came in a transparent pot with what did not look like soil, the pot looks far too small and what am i supposed to grow them in as far as soil is concern. Continue reading "Took my orchid out of the pot and now cant get it fully back in"
Rec'd a Moth Orchid as a gift. Was encased in a see-thru plastic pot which was in a clay pot. I removed the plastic and now is in the small clay pot. What is this beautiful flower and how do I take care of it? 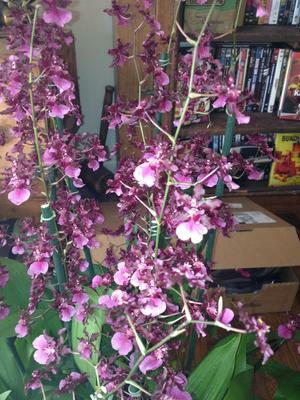 Continue reading "What is this beautiful flower and how do I take care of it?" Continue reading "Please help. I need to Identify this..."
Everyone likes pictures of orchids! Learn some techniques for doing your own orchid photography. Continue reading "Taking Pictures of Orchids"
Encyclia orchids, relatives of Cattleya and Epidendrum, require somewhat similar care, but drier. Enc. alata is particularly fragrant. Haraella retrocalla is a miniature orchid with attractive yellow-and-red flowers that have a nice citrusy fragrance. If well cared for these plants can bloom almost continuously. Continue reading "New Zealand Sphagnum Moss"
Barkeria orchids are beautiful relatives of Epidendrum and Cattleya. Most have bright purple flowers. They grow as epiphytes, with long, canelike pseudobulbs and thin, attractive leaves. The plants have long roots that like to be open to the air; they should be grown mounted, though they will rapidly grow off of the slab of bark and make a big cloud of leaves, stems, and roots out in the air. The plants come from Mexico. 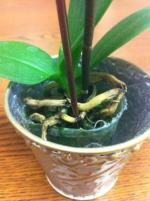 Meristem propagation is a laboratory technique to mass-produce clones of a particular orchid cultivar. 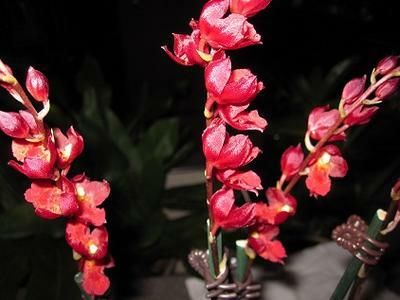 Commercial orchid breeders often want to produce numerous copies of a particularly beautiful plant, so they use this technique. Continue reading "Meristem Propagation of Orchids"
About 25,000 species of orchids come from all over the world; learn about the most common types of orchids, and how to grow them. Pictures are included! 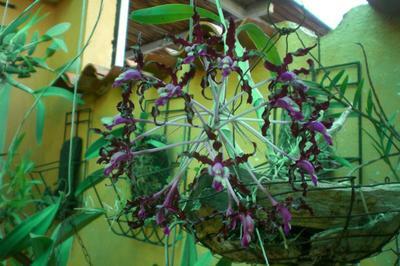 Continue reading "Types of Orchids"